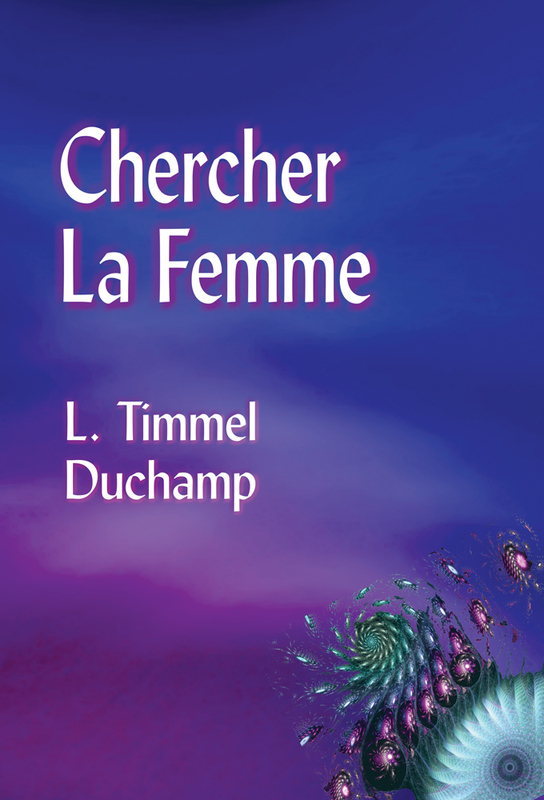 Chercher La Femme, which unfolds in a strange, complex, alien future, effectively explores several themes: of personal identity and how it holds itself together but is also porous to experience; of communication with alien life forms and how amorphous and challenging that might be; and of the visceral power of alien forms of beauty and art, giving the story compelling depths. The tense stretch between the Pax and the "Outsiders" offers an interesting representation of the real-world tension we now live with, between low-tech societies and those racing to colonize outer (and inner, personal) space in all sorts of ways. There's some interesting tidal stirring going on at the more cerebral levels of modern SF, which I think began with books like A Voyage to Arcturus and Solaris. It's now manifesting itself in, for example, Jeff Vandermeer's Southern Reach books and in this book, Chercher La Femme, as well as in films like Arrival, They Remain, and of course Annihilation. Human bafflement and consternation characterize these stories, in the face of the most alien kind of alien-ness we can imagine at this point, and a necessary softening and yielding of our age-old infatuation with a propulsive, often violent drive to control (or kill) whatever is ineffable and strange to us. "Speculative fiction at its purest." Aqueduct editor Duchamp's concentrated and demanding examination of what's accepted as "self" is cleverly and convincingly presented as a simple piece of science fiction. Diplomat Julia, a member of a socialistic human society known as the Pax, is the head of a mission to a far-off world, La Femme. The mission's primary purpose is recovery of the first ship sent to make contact with La Femme's inhabitants, though further diplomatic advancement is planned as well. Julia is distracted from the mission objectives by her deep analysis of her life thus far and the utopian ideal she lives by, particularly when she deals with her splintered crew. What she and her crew find upon arrival is enough to shake them all. Duchamp (Stretto) makes abundant challenges to gender norms and raises questions of what constitutes alienness, and the novel's humanistic approach and unwavering commitment to Julia's frank introspection go beautifully with a precisely detailed world. This thoughtful tale bears rereading and contemplation.